Getting arrested can be a scary and stressful process. This can also be said for loved ones of a person being taken into custody. 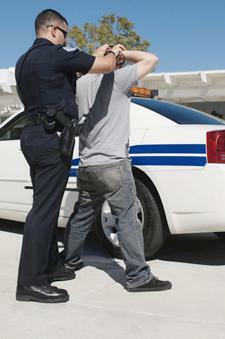 By understanding the arrest process you will be able to act appropriately in the situation. If someone you care about has been arrested you'll be able to help them get released by posting their bail. Learn more about that and the rest of the process in the following paragraphs. The first thing that will happen is a person being brought into custody. This can happen at the scene of a crime if person is suspected of doing something illegal or is spotted doing so, or police may serve a warrant. The latter means the police may search for a person suspected of a crime. In either case the person is arrested, read their rights and brought to the station for booking. In a typical situation booking will come next. During this process the suspect will be photographed and fingerprinted. Following the booking process the suspect will likely get a chance to use the phone. Following booking they may learn what their bail amount is, as it is usually set according to a bail schedule. At this point a loved one will be able to post their bail and get them released from jail. Whether they are bailed out or not they will soon have their first court appearance. This is often known as the arraignment. It is here that the defendant will learn of the charges against them, learn of their right to counsel and find out when their next court appearances will be. In the following days, weeks and months the defendant may have to appear in court several times as their lawyers and prosecutors fight back and forth to prove the party guilty or innocent. If someone you care about has been arrested and you would like to post bail in Kelseyville or the surrounding communities be sure to reach out to Rob Brown Bail Bonds. We offer fast and affordable bail bond services that allow your loved one to seek the legal and personal assistance they need. Give us a call day or night at (707) 587-4563 to request superior bail bond service in California.